Remember when we wanted to go on all those wild adventures like our hero Tinti? Well now you can actually take an epic food journey in this new Belgian restaurant. The recently opened Tintin and Brussels Club has been giving us epic childhood feels with its Tintin-themed decor. Owners Arindam Ghosh and Barnali Sensarma Ghosh started this Belgian restaurant inspired by the life and works of Georges Remi (creator of the Tintin comics). It serves Belgian delicacies (including waffles). One corner of the restaurant also has a beautiful old piano and one can enjoy live piano sessions here from 8pm-10pm, every Saturday. Look out for the prints and posters of characters from Tintin comics and carry your love for the boy detective further with the TV that screens The Adventures of Tintin. 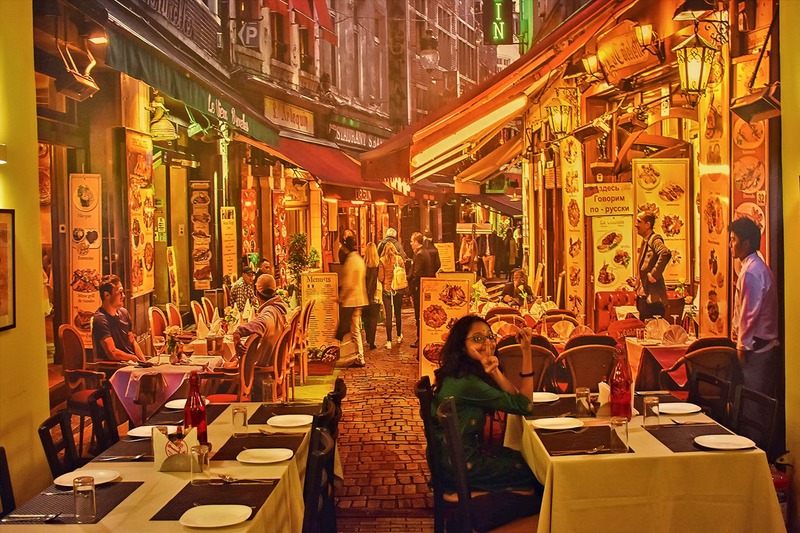 One whole wall is covered with an image of Brussels at night. These guys hold frequent events and quizzes centred around Tintin – keep tabs on their FB page here.